Decorative Marble Paper Beautiful Decorative multi colour marble paper sheet available in 2 two different sizes 22*30 inches, 25*35 Inches, GSM 125. manufacturing by Rahis papers Private Limited. 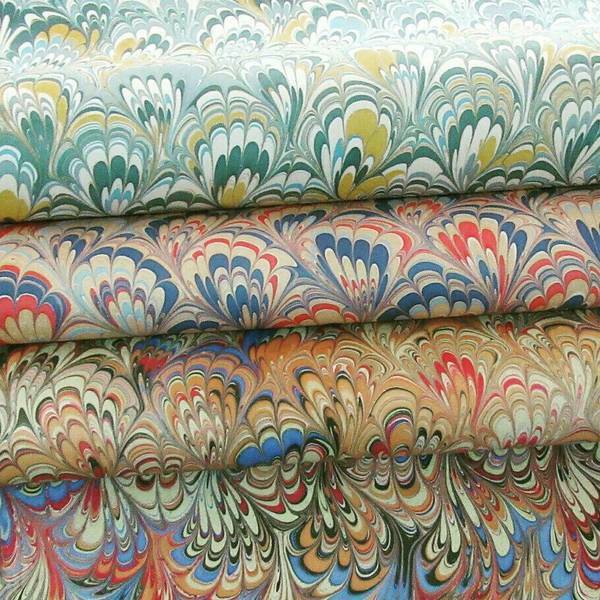 we are manufacturing all type of decorative marbled paper Sheets Jaipur, INDIAN. Decorative Handmade Paper Sheet with Red Plan, Gold Silver Color, This is Our especial Marble Design Item Code Marb 0.40, Gsm120. We also have Capability to Manufacture Marble Paper Sheet as Per The Specification Give By Our Valuable Clients. Decorative Marbling Handmade Cotton Paper Sheet Base Off White cotton Paper, Gsm 125, Size 22*30 Manufacturing By Rahis Papers We Have Capacity To Make All Type Marble Paper Sheet We Have The Best Marbling Paper Artist In Our Company. Jaipur INDIA. marbled paper sheet cotton marble paper sheet manufacturing all type of marble paper sheet and decorative marble paper sheets We well trained marble paper artist in our company Rahis Papers Manufacturing and export all type Marble Paper Sheets. Handmade Paper Bag, Marble Paper Bag All type of Handmade Paper Bag, Decorative Paper Bag Eco friendly Paper Manufacturing By Rahis Papers All type of Handmade Paper Products As Per our Buyers requirements Eco friendly. Handmade Cotton Paper blue Marble Paper Sheets. Eco friendly Indian Cotton Marble Paper Manufacturer and Exporter all kind of Marble Paper, Decorative Paper Sheet Collection. Available. Rahis Papers, Jaipur, India. INDIA Cotton Marble Decorative Paper Sheet.item Code Marb A055 Design By Rahis Papers Pvt.Ltd We Are Manufacturing All Type Of Designer Handmade Marble Paper Sheets In All Size.We Also Have Capacity To Manufacturi Products As Per The Specification Give By Our Valuable Clients.